The Memorandum of Understanding to be signed with both the UN High Commissioner for Refugees and UN Development Program represents an attempt by Suu Kyi’s government to trade minimalist concessions for the good housekeeping seal of approval from the UN. But if Myanmar implements its terms in good faith, it could also open the door to greater transparency and place additional pressure on Naypyidaw to take more constructive action. We will have to wait to see the full text of the agreement, but the UN previewed some of its terms in a press statement. The agreement will provide “a framework” for the agencies to be given access to areas of northern Rakhine State that have been mostly off limits since before the attacks by Arakan Rohingya Salvation Armyon on 25 August last year, and the disproportionate response to those attacks by the Myanmar’s armed forces, or Tatmadaw, which led to the flight of more than 680,000 Rohingya for Bangladesh. Eventually, it says, UNHCR will be able to provide independent information to refugees about conditions in their places of origin, allowing them to determine whether return is advisable without relying on Myanmar government promises, which Rohingya are understandably reluctant to accept. But if the framework provides for full, unfettered access to areas of origin, then it will put significant pressure on Myanmar authorities to stop activities that it has undertaken over the past six months that appear designed to discourage return. This includes bulldozing burned villages and the construction of government facilities on top of the sites. It will also provide a window into just how much Rohingya property has been expropriated by the government and Rakhine villagers. The agreement will reaffirm, according to the UN, Myanmar’s commitment to implement the recommendations of the Advisory Commission on Rakhine State, which was chaired by former UN secretary general Kofi Annan. The UN statement goes on to note that those recommendations included a pathway to citizenship for Rohingya, but does not state that the memorandum of understandingwill specifically endorse this recommendation. Parsing the language, the statement suggests that the Aung San Suu Kyi government will continue to project acceptance of the Annan Commission’s report, while remaining reluctant to publicly commit to several key recommendations in it, particularly a pathway for citizenship for the Rohingya. Nor have there been any signs that they are quietly implementing these recommendations behind the scenes. That’s a problem, because Rohingya have said they will not go back until their citizenship is recognised. Taken together, these measures alone are unlikely to result in the repatriation of any substantial number of Rohingya, and certainly not their voluntary, safe, and dignified return. 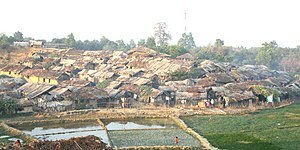 But they could provide greater insight for the international community into the situation on the ground in northern Rakhine State, leading to renewed international pressure on the Government to cease efforts to destroy or expropriate Rohingya property, and even pressure to begin to take steps that would make return possible. It could also help to provide greater humanitarian access to the tens of thousands of Rohingya who remain behind in northern and central Rakhine State without regular access to food, healthcare, or livelihoods. One step that the Myanmar government can take in the short term to show that it intends to implement the MoU in good faith would be the dismantlement of transit camps that it has built to house returning Rohingya refugees, and which it was showing off to journalists as recently as last week. Diplomats who have visited the camps describe them as reminiscent of concentration camps, with heavy security, barbed wire, and bare accommodations for fewer than 1,000 returnees. While the Myanmar Government claims that Rohingya would only briefly remain in the transit camps, the continued presence of 140,000 internally displaced Rohingya in camps in southern Rakhine State since 2012 does not inspire confidence in these assurances. They are completely inconsistent with “safe, voluntary, and dignified return”, and need to go. The success of the MoU will depend upon extreme vigilance of a distracted international community with regard to the execution of its terms. That, in turn, will require continued pressure on elected leaders in democratic countries to ensure that diplomats continue to push for progress on humanitarian access. But the longevity of popular international concern on Myanmar has surprised even optimistic observers. Elected leaders, particularly in the United Kingdom, are responding to the outrage of their constituents with continued attention. Myanmar may have sought the MoU as a way to relieve international pressure and restore its reputation. But if executed properly, the arrangement should serve to shine a light into Myanmar’s actions in northern Rakhine State, and as leverage to apply even greater pressure on its government in the future.